With outgoing Labor Secretary Tom Perez in the running, who was the LAST person to chair the Democratic National Committee who in his or her career also served in the Cabinet? Last week’s trivia question was: Before Louisiana’s John Kennedy, who was elected last month, who was the most recent member of Congress to have the same first and last name of a former president? The answer: Franklin D. Roosevelt Jr. 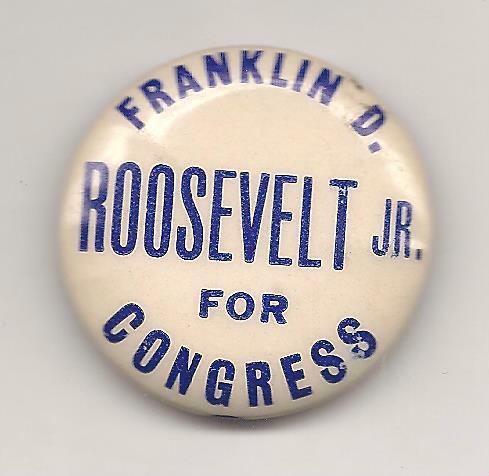 Son of the 32nd president, FDR Junior was elected to Congress from Manhattan in a special 1949 election and served until 1954, when he decided to run for governor of New York. His bid going nowhere, he dropped out and instead was persuaded to run for state attorney general. But he lost the election to a Republican by the name of Jacob Javits. The randomly selected winner is I.O. Dennis of Denver, Colo. I.O. wins the coveted Political Junkie button.